This article was originally published in the Watershed Sentinel. Something remarkable happened in Victoria this September. 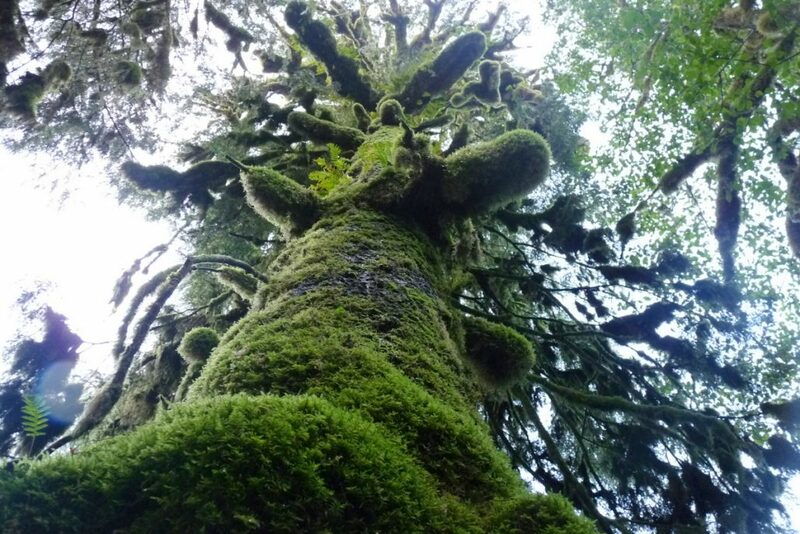 The Union of British Columbia Municipalities, representing over 3 million British Columbians, voted to save all the remaining old-growth forests on Vancouver Island. Preceding this, British Columbia’s largest and most broadly-based business organization, the BC Chamber of Commerce, had voted for the protection of old-growth forests. They stated that forests garner more revenue when left standing because of their economic benefits (derived largely from tourism), and they urged the provincial government to legislate permanent protection through conservancies and parks. Many other First Nations on Vancouver Island are making similar moves by coming to their own conclusions about the archaic nature of old-growth logging economics, especially in a post-Tsilhqot’in-ruling legal context. Increasingly, unions and forestry workers are calling for an end to old-growth logging, particularly in relation to raw log exports. The outstanding question is this: how can the provincial government ignore the cries of the business community, many First Nations, union workers, municipalities, and the environmental community while allowing the wholesale liquidation of one of our most important ecological and cultural gifts? The companies practicing industrial-scale resource extraction have had a major influence on provincial policy, which can make it difficult to shift priorities going forward. This is reflected in Elections BC’s Financial Reports and Political Contributions System (contributions.electionsbc.gov.bc.ca) and amounts to about one million dollars over approximately ten years. The governing party is making policy decisions that stand to benefit the businesses that support the party financially. All the while the public feels ignored. Photo by Andrew S. Wright. What lies behind the lawlessness? There are two policy barriers that hinder meaningful engagement with the public: the Vancouver Island Land Use Plan and the Forest Range and Practices Act. The Vancouver Island Land Use Plan is a dusty old document that started out compromised and has subsequently been watered down. First, it employs old data sets with huge information gaps. Secondly, it doesn’t mention First Nations, their title, their opinions, their management priorities, or their territories. Lastly, it doesn’t include anything on climate change whatsoever. Somehow, despite these fatal flaws, this clunky old plan is what determines the fate of the landscape across Vancouver Island. It’s a shame and it needs to be put through the paper shredder. Second only to the Vancouver Island Land Use Plan in archaic and irrelevant policy is the BC Forest Range and Practices Act (FRPA), which could more aptly be re-named the Logging Companies Wrote This Act Act. It gives little or no control to the regional district managers who manage their respective regions. Paradoxically, a regional district manager cannot actually deny a cutting permit. In addition to the weaknesses of FRPA, the ministry responsible lacks the capacity to adequately ensure minimum compliance. In contrast, the provincial government provides significant oversight of an appraisal system through which the taxpaying public heavily subsidizes logging companies. While the American government doesn’t hold the hand of their logging companies, our provincial government bends over backwards to give higher tax subsidies to logging with higher operational costs. 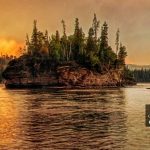 The provincial government subsidizes remote areas from which it is typically more expensive to extract timber (and which are often old-growth forests) more than they subsidize accessible, cost-effective areas. The public is paying to artificially keep this industry afloat. Meanwhile, the forestry industry maintains that logging operations are pursued in the interest of supporting communities and creating jobs. So what happens when the regional land use plan is rickety, the regulatory regime for the industry is as fierce as a puppy, the global demand for a finite resource is booming, and you have a government unwilling to shift its policy priorities? You end up with privatization, a supreme lack of public input, and the liquidation of one of the most important ecological, climatic, and cultural phenomena known to the planet – old-growth forests. People are realizing that now is the time for this to end. 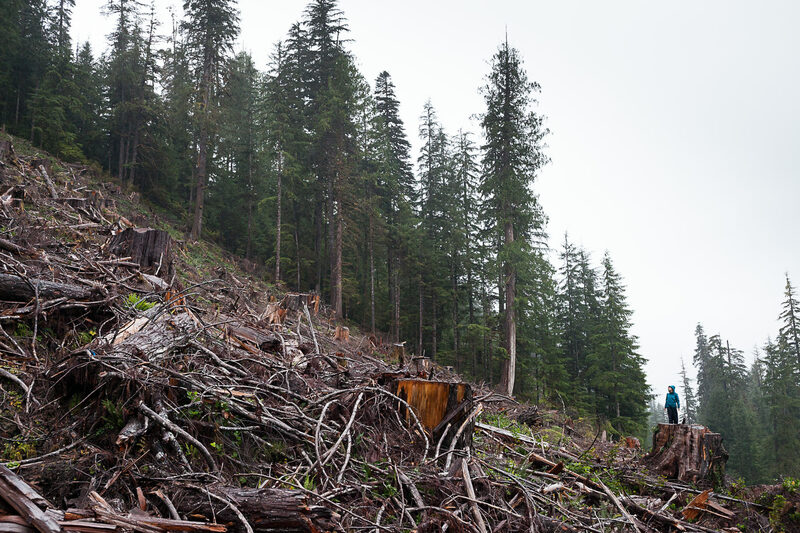 Somehow, despite the obvious fact that old-growth forests (especially high-productivity ones) are vanishing, the provincial government continues to perpetuate the myth that old-growth forests are not disappearing. They go so far as to make this mythical claim in a “factsheet.” If this weren’t so serious, it would be comical. We owe it to our forestry workers, millworkers, and communities to shift policy priorities away from this finite resource. We also owe it to the landscape itself. Karst, water quality, endangered species, traditional cultural use, salmon, carbon sequestration, recreation, spiritual refugia, medicinal plants, and cultural modification histories are being undermined by government negligence. But we all know this. It’s just that the government either doesn’t, or ignores it. Andy Mackinnon is arguably one of the most respected and widely affirmed botanists, ecologists, and researchers on biogeoclimatic ecosystems in western Canada. You may recognize him from the book you go to when you ask yourself, “What plant is that?” Plants of Coastal British Columbia has sold more than 250,000 copies. Mackinnon also worked for the Ministry of Forests, Lands and Natural Resource Operations, so he’s no rookie. 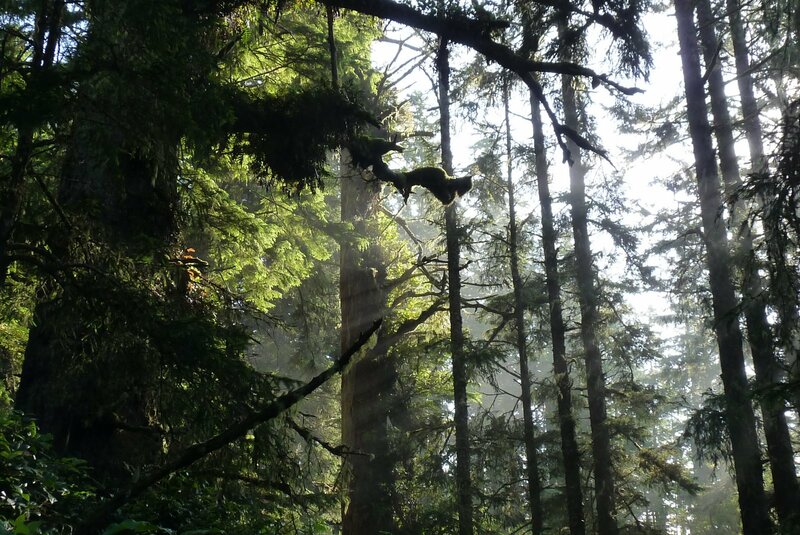 “When people asked my ministry how much old-growth there was left, I would have to say: ‘Go talk to the Sierra Club BC.’ So believe me when I say that there is much less than 10% of productive lowland old-growth forests remaining on Vancouver Island. And just in case it wasn’t painfully obvious to you, that means that in fact, old-growth forests are disappearing,” says Mackinnon. Don’t let the government “factsheets” or the “jobs vs. environment” narrative fool you. Our current system is designed to be obtusely inaccessible to the public and acutely beneficial for industry. The industry has become accustomed to an unhealthy degree of ownership over public assets, while the public has come to assume we don’t have the right to say how we think our natural resources should be managed. So while there is an obvious us-versus-them dualism occurring in this struggle, there are some encouraging signs as well. In the post-1990s war-in-the-woods era, First Nations have consistently been a voice of reason between logging interests and the environmental movement. While not perfect, the Great Bear Rainforest agreements are a testament to what can be done when unlikely adversaries sit down together. No one seems to be entirely happy with the agreements, which in my understanding means everyone compromised. From the Elaho Valley, to Clayoqout Sound, and now the Walbran, Indigenous voices (for and against old-growth logging) are finally being recognized as integral to this issue. This is a step in the right direction that everyone can agree on. The First Nations of Vancouver Island are industry leaders, community leaders, and environmental advocates – and they are taking their land back at varying speeds. A very wise man once said, “A riot is the language of the unheard.” Blockade culture and the reemergence of war-in-the-woods 2.0 can be understood in a similar vein. Unfortunately it takes confrontation for meaningful conversations to even start. Don’t blame protestors (protectors, forest defenders, or territorial asserters) for taking action in the absence of any real government leadership on matters vital to the land. They are often the ones who go unthanked, unrewarded, and unrecognized after stakeholder conversations begin and then end. You would merely be policing their tone. Sierra Club BC neither advocates for nor participates in any illegal activity, but we understand the anger and political asphyxiation that drives people to engage in alternative tactics. 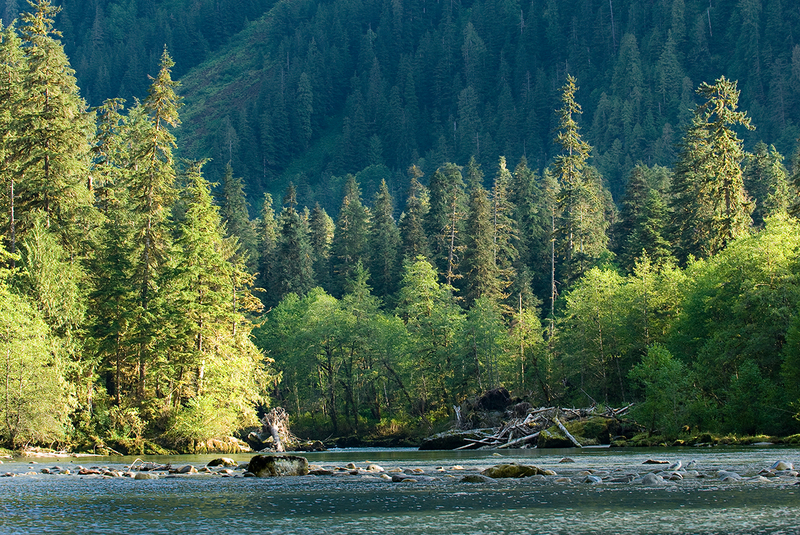 Old-growth logging will end. The conversation that needs to be had is how we can end it in a way that is socially just for workers and dependent communities and that maintains ecological integrity across the landscape. That mandatory conversation is now at hand and the writing is on the wall. The other option, which defines our provincial government’s current policy priorities, is to log it until it’s gone and then watch logging towns become ghost towns and original forest ecosystems turn into tree plantations. I wonder what the elk, murrelets, and traditional canoe builders would do. Feature image by Jens Wieting. 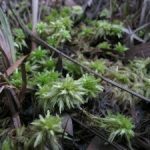 Common Green Sphagnum Moss Download your free 2017 Nature E-Calendar!